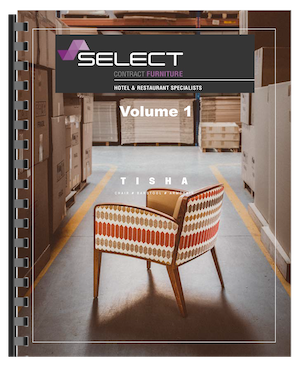 Select supply an extensive range of restaurant, bistro and bar furniture that has been designed to be extremely durable whilst achieving stylish aesthetics. Our reputation has been gained through our determination to ensure that each and every one of our clients is completely satisfied with the products and service they receive. Our vast experience enables us to work closely with our clients, offering them advice and support at every stage of their refurbishment projects as well as helping new establishments to choose the best chairs, tables and furniture for their needs. If you are looking to buy bespoke, odd size items or even outdoor furniture for a pub garden, we can help. We have frame makers, upholsterers and fitters able to manufacture a wide range of bespoke restaurant furniture, including expertise in fixed seating. 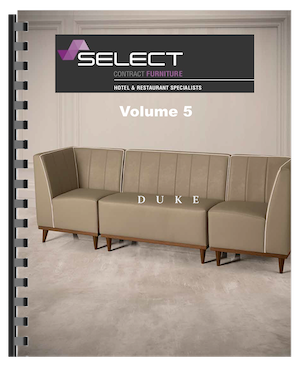 Apart from our extensive ranges available, Select are also exclusive UK distributors of Huertas furniture, one of Europe's leading manufacturers of tables and chairs to the hospitality sector. Cafe Eataliano Italian restaurant in Hamilton, South Lanarkshire (near Glasgow), offers a relaxed atmosphere and brings to the table the two most important things to all Italians, good food and fine wine. Cook and Indi's World Buffet present to you, the 'World on a plate' that lets you travel the world through your taste buds, exploring an extensive choice of flavours and having the option to indulge in whatever style of food you desire! Mata Hari by Asian Fusion is Lanarkshire's eagerly awaited dining experience.